Even though you delete a message from your Inbox or from Sent Items, those messages are not removed from your mailbox. Instead, deleting passes the message into the Deleted Items folder. You must then delete messages in the Deleted Items folder to reduce your mailbox size. When you send a message, a copy of that message is placed in the Sent Items folder. If that message has an attachment, that sent message increases your mailbox size. So take care to delete messages in Sent Items, especially ones with attachments. 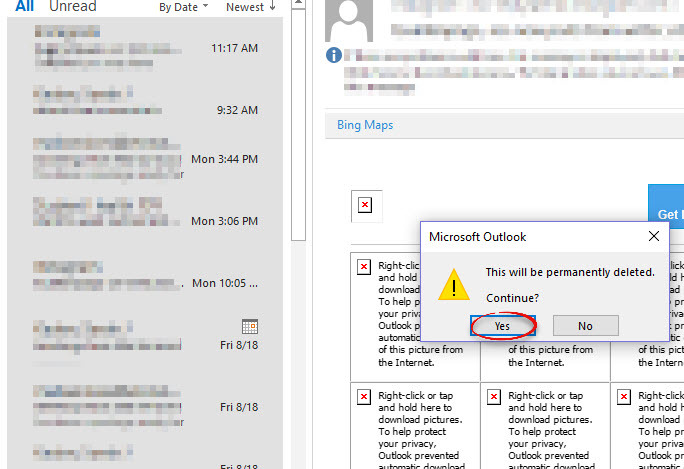 Step 1:Open Outlook to your mail page. Step 2:Right click on the Deleted Items folder. Choose Empty Folder. You can delete a series or a bunch of scattered messages with these shortcuts. 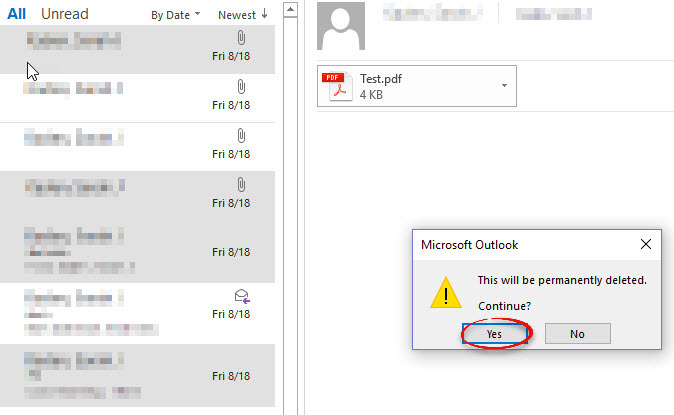 Step 1:Open your Deleted Items folder in Outlook. Step 2:To delete a series: Click on the first message in the series. Hold the [Shift] key and click on the last message in the series. Press the [Delete] key and click Yes. To delete scattered messages: Click on the first messages. Hold the [Ctrl] key and click on the other messages you wish to delete. Press the [Delete] key and click Yes. Step 1:Open the Deleted Items Folder and click Empty Folder. 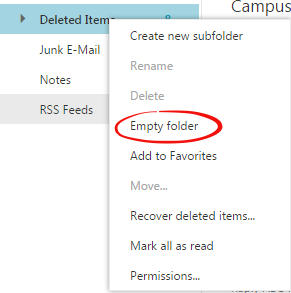 Step 2:You can also right click on Deleted Items in the menu on the left and select Empty Folder. 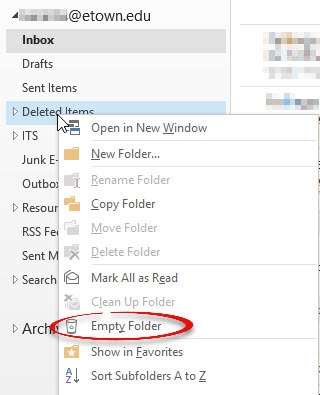 Step 1:In the Deleted Items folder, select an email or draft and click Delete at the top of the page. Step 2:You can also delete scattered messages by clicking on the first message, the holding the [Ctrl] key and clicking on the other messages you wish to delete. Press Delete and click Yes.